DALLAS-July 11, 2012 – Attention shoppers! It’s back –the much-anticipated ultimate city-wide fashion celebration designed to kick-start the fall fashion season. 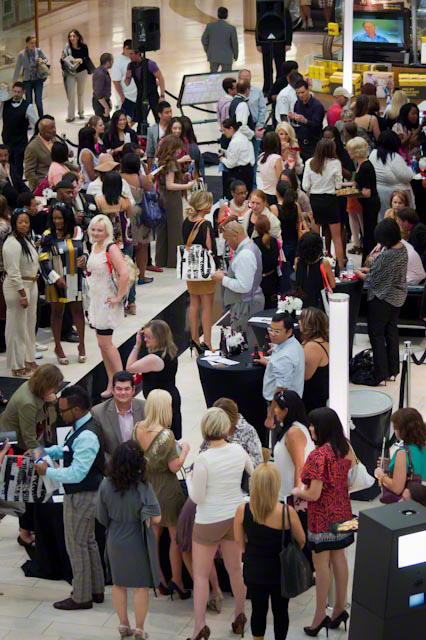 It’s Dallas’ celebration of Fashion’s Night Out (FNO), and it takes place on one, fashion-packed day, Thursday, Sept. 6. 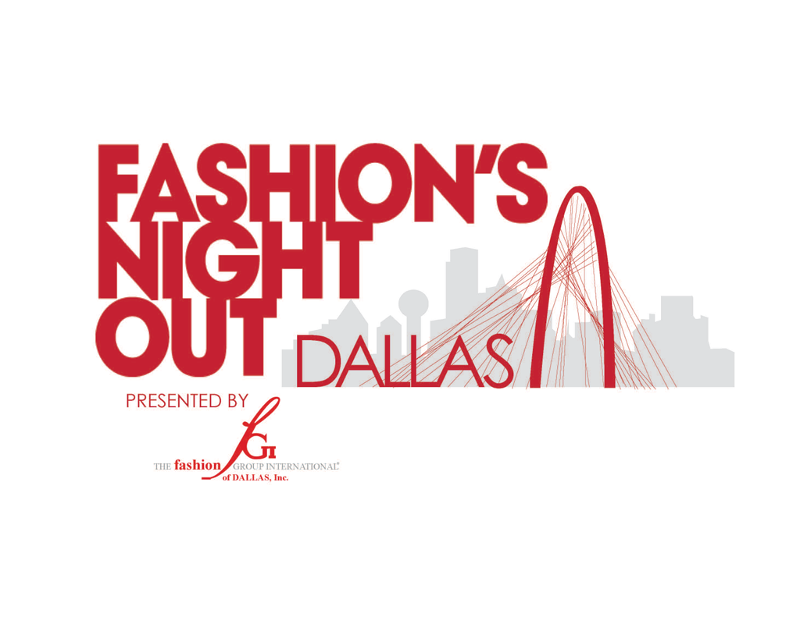 “This year’s local Presenting Sponsor is Dallas’ legendary Fashion Group International (FGI) of Dallas, the perfect promotional partner for Dallas’ FNO events,” announced Jenny Siede, Regional Director for FGI Dallas. “We are thrilled to be the local sponsor for Dallas’ celebration of Fashion’s Night Out, as it represents our continuing commitment to support our outstanding fashion retailers and designers. FNO also provides FGI with an opportunity to host events that benefit our FGI Dallas Foundation which provides scholarship funds to area college and university fashion students,” Siede added. Fashion’s Night Out was originally created in 2009 as collaboration among American Vogue, the Council of Fashion Designers of America, NYC & Company, and the City of New York to celebrate fashion, restore consumer confidence, and boost the economy. An early FNO participating city in 2009, Dallas has celebrated FNO every year since with a plethora of gala fashion events hosted by Dallas area retailers, shopping centers and designers. Dallas takes the party to a whole new level this year with its celebration of FNO as city-wide event. From runway shows featuring the latest fall trends and Dallas’ top models walking the catwalks, to cocktail parties with fashion-tinis hosted by Dallas’ finest retailers, “Dallas Celebrates FNO Presented by FGI Dallas” follows the original mission of FNO to energize the local retail economy and fashion industry with a day-long shopping extravaganza. Official FNO events throughout the Dallas area are free and open to the public. FGI member, Kim Dawson model, and owner of RSC Productions, Rhonda Sargent Chambers, has been named FGI Dallas’ chair and spokeswoman for the event. “It truly is a privilege for me to promote not only FNO, but also our dynamic fashion community of shopping centers, retailers, and designers who make Dallas the international fashion leader it is today. My hope is that Dallas area shoppers will turn out in force on Sept. 6 to kick off fall –the biggest fashion season of the year,” added Chambers. YouPlus Media, owner of award-winning website, YouPlusDallas, has signed on as a local sponsor for Dallas’ celebration of FNO to provide online and mobile video coverage of the events throughout the city. Last year’s FNO celebration in Dallas featured special limited-edition products, local celebrities, and special runway presentations, including Galleria Dallas’ 1Ž4-mile-long runway winding through the center, NorthPark Center’s “Fashion Podiums” and musical performances, as well as glamorous fashion shows hosted by Neiman Marcus/Willow Bend, and the top designer boutiques at Highland Park Village. Limited-edition official FNO T-shirts and tote-bags will be available for sale at select retail locations, with proceeds going to the New York City Aids Fund in the NY Community Trust. For more information about all the exciting FNO events planned in Dallas, visit the Dallas Celebrates FNO Facebook page, as well as on the FGI Dallas website at http://dallas.fgi.org/index.php?news=2921. Editor’s Note: Rhonda Sargent Chambers will be available for media interviews and to speak on behalf of the FNO events throughout the Dallas area. To schedule an appearance or interview, please contact Rosanne Hart via e-mail, [email protected] or 972-403-2424, or Jennifer De Socarraz, at [email protected] or 423-553-1511. FGI Dallas is part of Fashion Group International, a global, non-profit, professional organization with more than 6,000 members representing all areas of the fashion industry. Fashion Group provides a high-profile forum to promote the fashion business by hosting events that educate and facilitate the exchange of ideas by giving back to the community. Fashion Group International was founded in 1928 in New York by some of the most powerful women of their era, including First Lady Eleanor Roosevelt, Elizabeth Arden, Helena Rubenstein and esteemed designers Edith Head and Adele Simpson. For more information about FGI Dallas visit http://dallas.fgi.org or contact Esther Morales, Operations Manager for FGI Dallas at 214-634-0204, or e-mail [email protected]. Fashion’s Night Out (FNO) is an unprecedented global initiative originally created in 2009 in New York City to celebrate fashion, restore consumer confidence, and boost the industry’s economy during the recession. On Sept. 6, 2012, in response to overwhelming demand, Fashion’s Night Out returns to New York and over 100 cities nationwide and in Europe to highlight fashion and support retail with exciting events that include designer appearances, celebrity guests, fashion shows and musical performances. In the United States, the program is collaboration between American Vogue, the Council of Fashion Designers of America, NYC & Company, and the City of New York. For more information visit www.fashionsnightout.com, or join us on Facebook and Twitter (@fnonyc, #FNO).